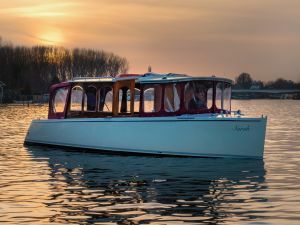 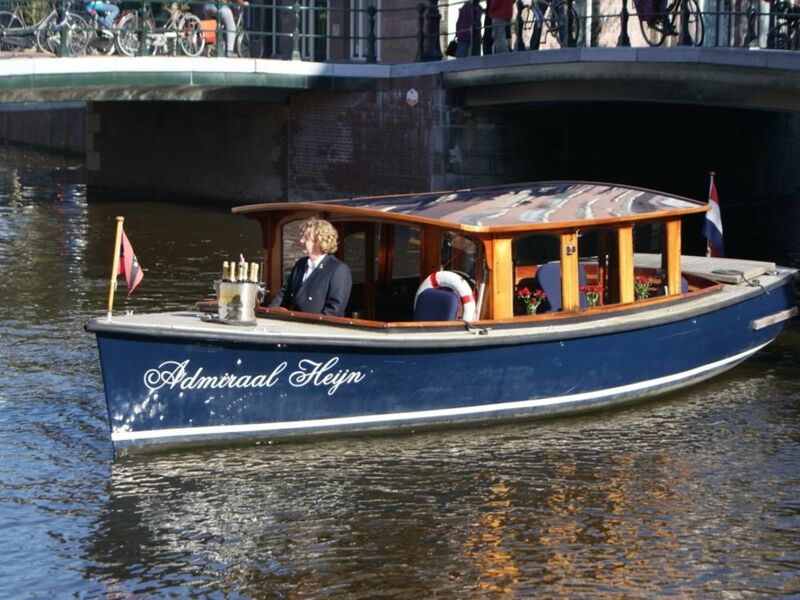 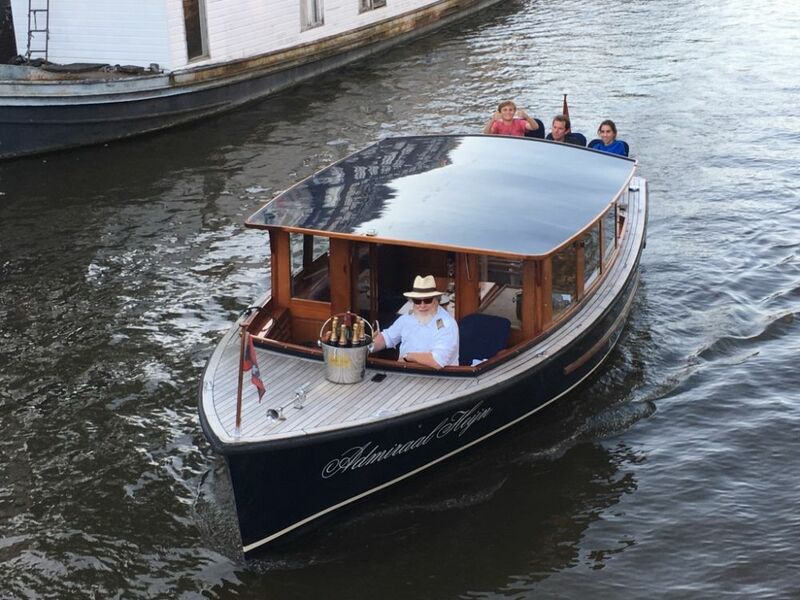 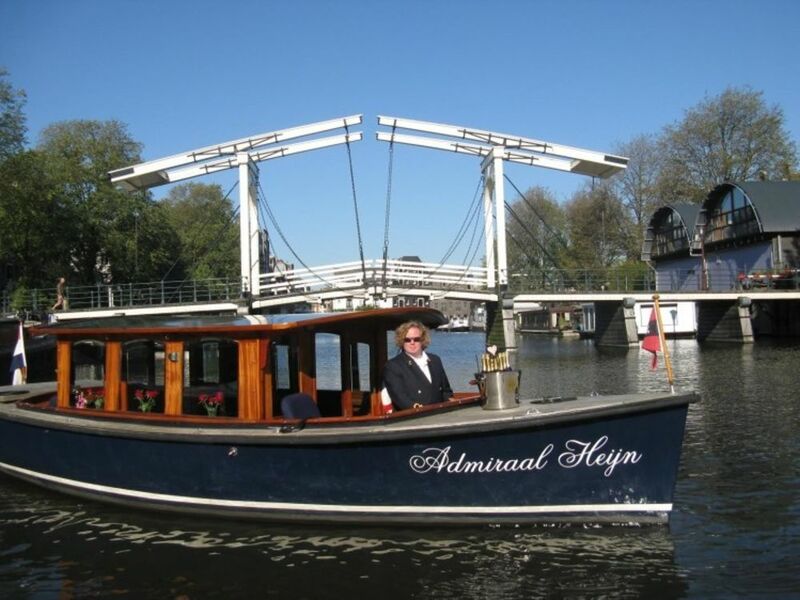 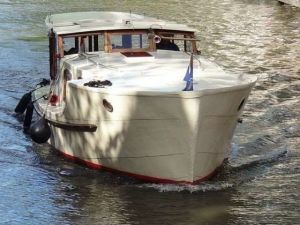 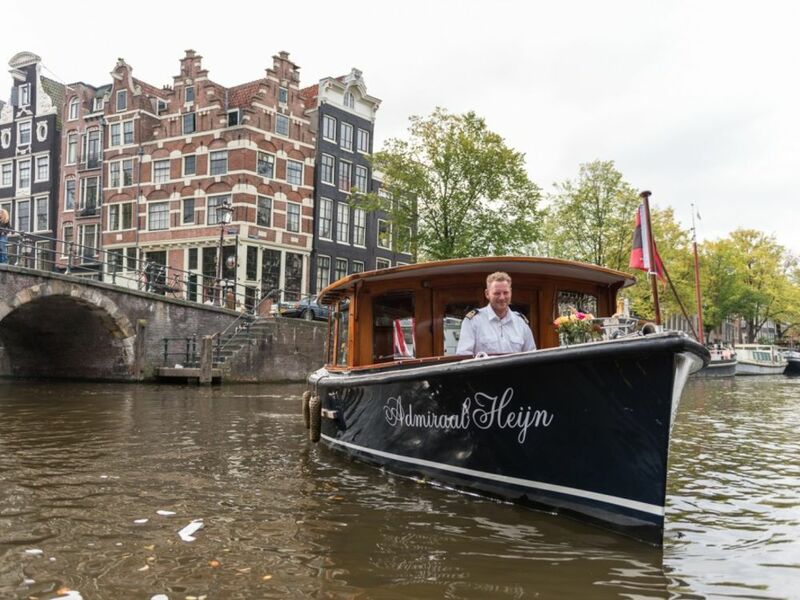 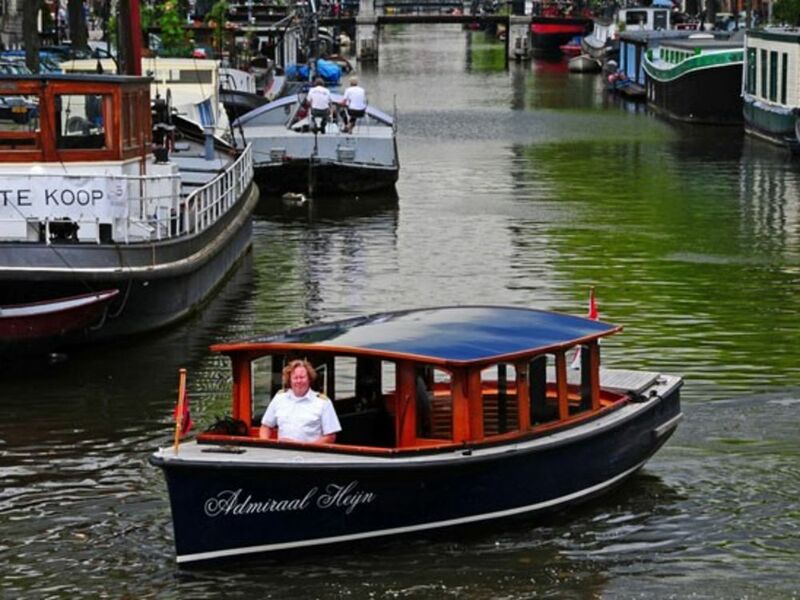 Classic canal boat Admiral Heijn is a charming example of a Venetian saloon boat. 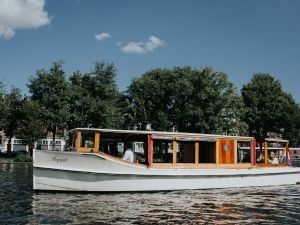 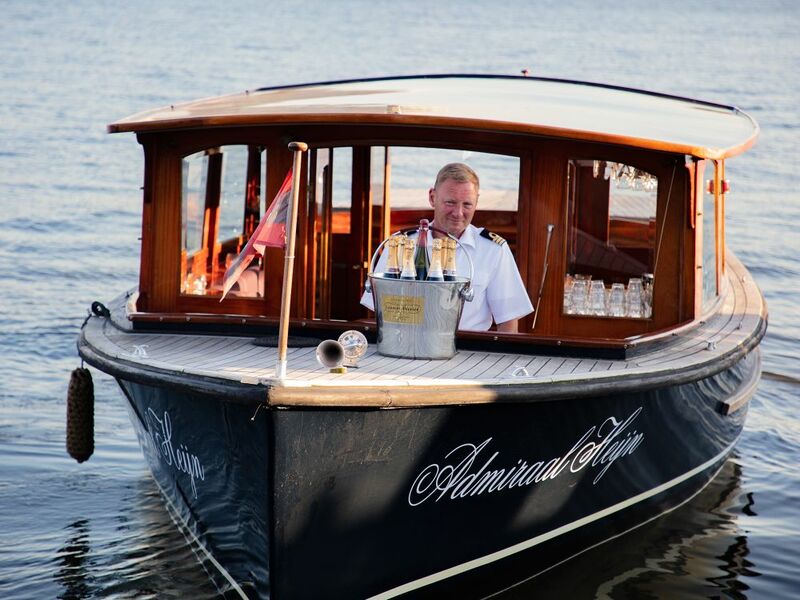 The boat is finished with a teak deck, mahogany woods and beautiful details such as facet windows and special upholstery. 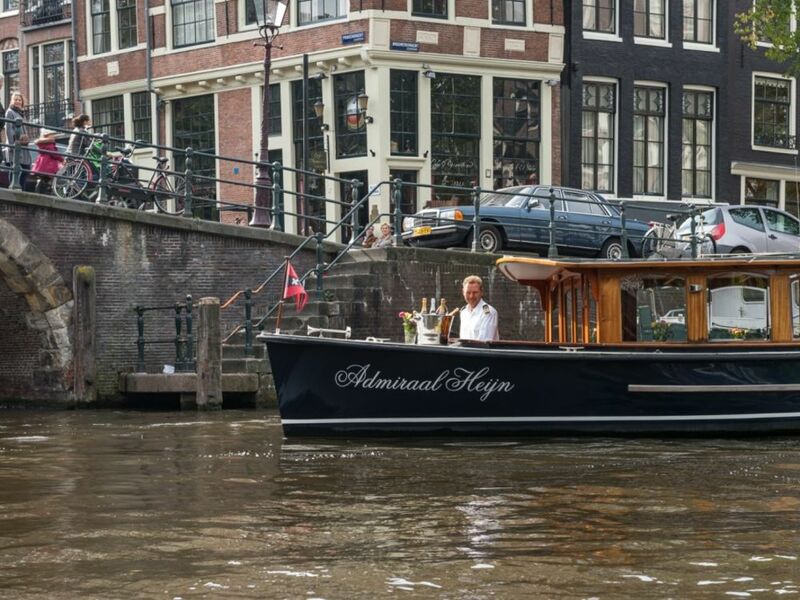 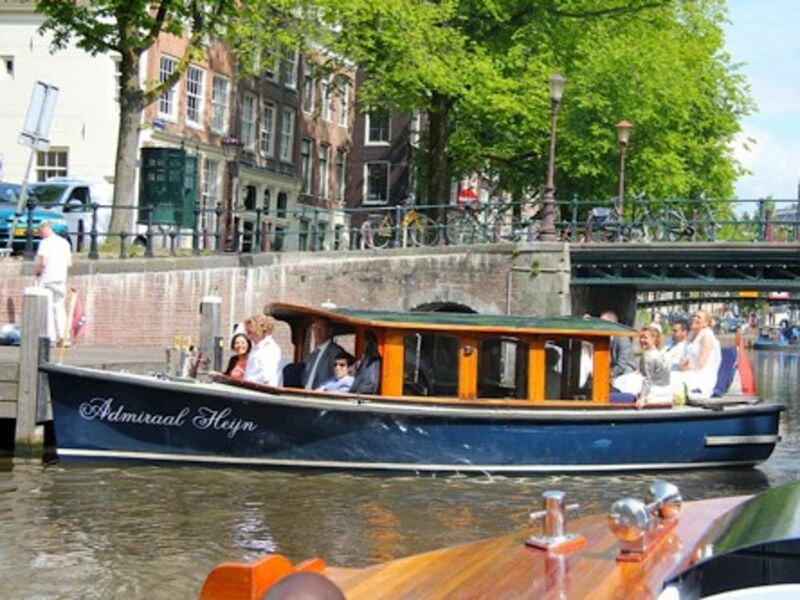 You'll sail through the Amsterdam canals in style. 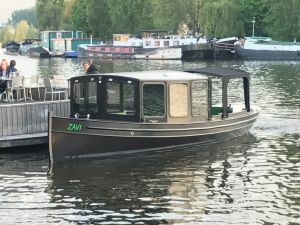 Whether you choose for a romantic trip with just the two of you, or for a trip with a small group of friends or business colleagues (maximum 12 persons), the boat and its captain will ensure a successful tour.